Ocean Harvest Technology is a market leader with a revolutionary product portfolio that delivers transformational results in animal health and farming economics in a cost-effective and environmentally sustainable manner. Ocean Harvest Technology has an extensive portfolio of trade secrets, know-how, and patents relating to the formulations, production methods, and applications of OceanFeed products and ingredients. 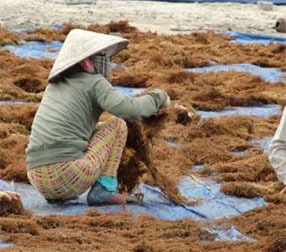 Ocean Harvest Technology has secure access to biomass from a network of harvesters across South East Asia. OHT’s proprietary seaweed blends are produced at its processing and distribution centres in Ireland and Vietnam. OHT is also believed to be the first seaweed feed ingredient producer able to offer organic blends of these multiple species seaweed blends, sourced globally. 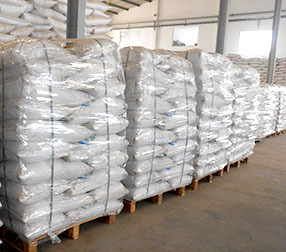 As part of OHT’s growing capabilities, we are able to offer our feed ingredients in a number of forms, including meals, extruded pellets, and our proprietary low-dust crumble variant. Widespread environmental and health concerns have spurred industry and consumer demand for natural, organic and sustainable farm products produced without the use of growth hormones, antibiotics and other synthetics. For instance, the World Health Organisation recommends that all farmers globally cease the routine usage of antibiotics in healthy animals. Additionally, consumers are seeking natural and holistic solutions for performance and health for their pets and horses. Increasingly, the EU and the US are passing legislation to limit the use of synthetic additives and antibiotics in feed ingredients. These powerful market drivers represent an opportunity for sustainable feed ingredients such as Ocean Harvest Technology’s proprietary products. Ocean Harvest’s products are produced in Ireland and South East Asia utilising a network of harvesters across The Philippines, Myanmar, Indonesia, Vietnam and Malaysia. Ocean Harvest encourages all its harvesters / suppliers to strive towards GMP+ standards as outlined by our certifying body Control Union. These standards are in accordance with the Regulation (EC) No 834/2007 and Regulation (EC) No 889/2008 on organic production of agricultural products. Our approach to feed safety includes the internationally recognized Hazard Analysis and adheres to the standards and requirements for feed safety assurance under the GMP+B2 scope. Ocean Harvest monitors the quality of its products using detailed work agreements and frequent site visits to each of its suppliers.